Hi again! Sorry for the lack of updates; I haven't been feeling very inspired lately. I think it's just holiday stress which means I could use a vacation ASAP. 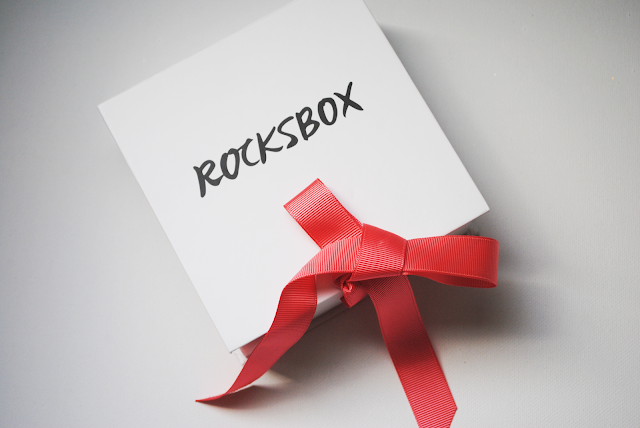 Until then I'll continue to enjoy the little box of happiness that is Rocksbox. My last box was AMAZING and I'm still loving all those pieces. This box isn't that stellar, but it's still great. 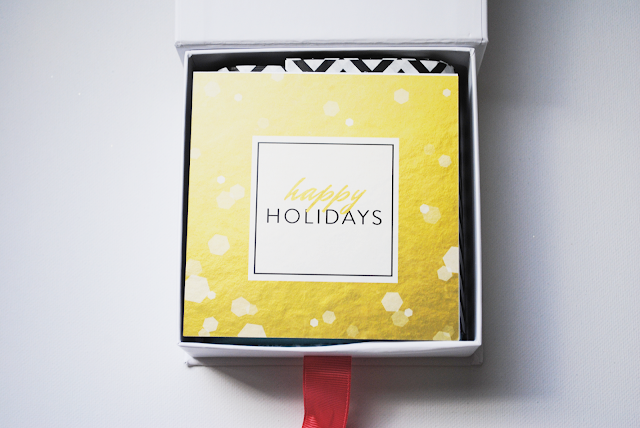 Keep reading to see what's inside and how you can get a FREE MONTH of Rocksbox! Keeping it festive for the holidays. I approve! This was a lovely touch. All my pretties came packaged in protective bags, as you can see below. These dust bags really do come in handy when travelling so my jewelry doesn't end up tangled or broken upon arrival. I can't wait to show you guys what's inside them so let's jump to it! This necklace is soooo pretty! I love a big, bold statement necklace, but this is a different take on those. This is a fairly small piece that still packs a wallop! 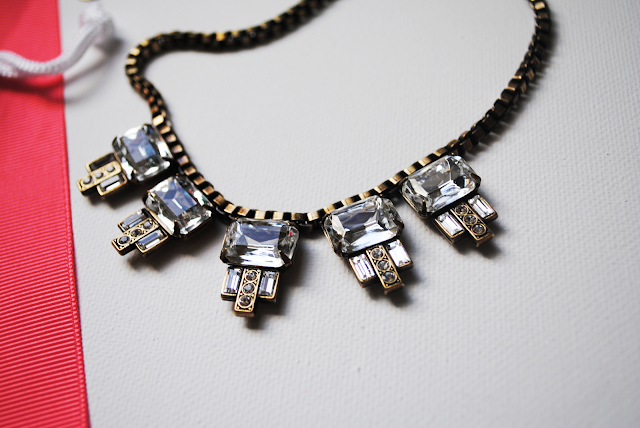 This necklace is perfect for adding a little bit of sparkle to an otherwise plain outfit. Stay tuned to the blog to see what outfit I chose to wear this with! I like the antique gold finish; it's a lot different from regular gold or silver and just makes this necklace even classier. Verdict: Going back. 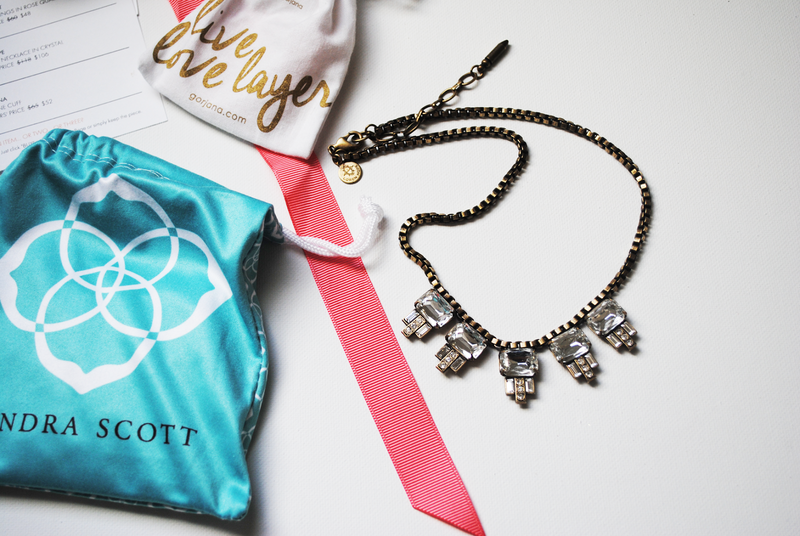 While I do love this necklace, it's a little pricey (even with the Rocksbox discount) for my jewelry budget. 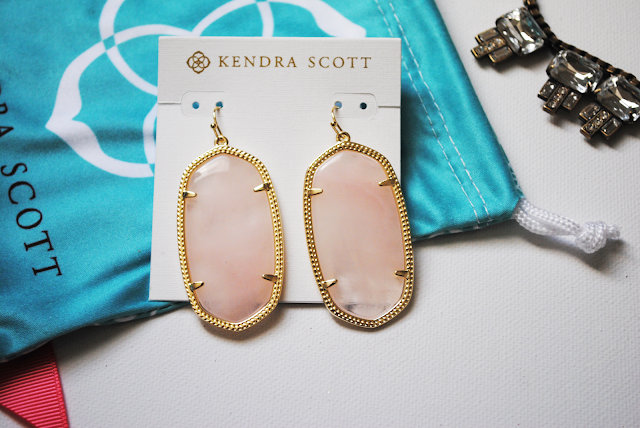 When I added these earrings to my Rocksbox wishlist, I did not think they would be this big. I mean, they are huge for somebody like me who mainly wears studs. 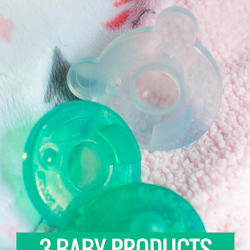 They're also pretty heavy, which I don't mind, because then I'll know when I lose one, right? The color is spot on since one of the Pantone colors for 2016 is Rose Quartz. Verdict: Going back. My closet is .00001% pink so I don't have much to wear with these. Hopefully that'll change in the future. 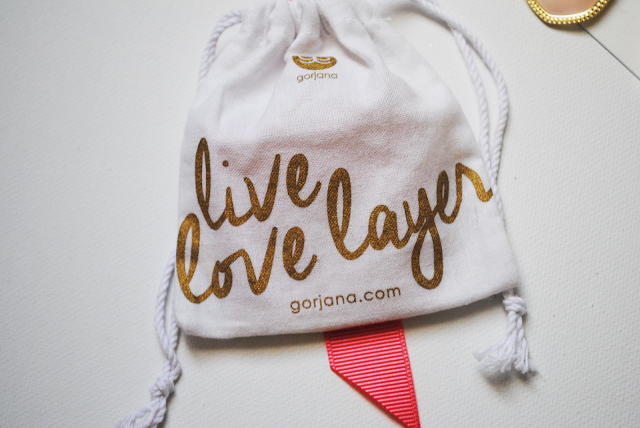 This Gorjana bracelet was my favorite piece from the whole box. I'm not a huge bracelet wearer, but this beauty quickly changed that. 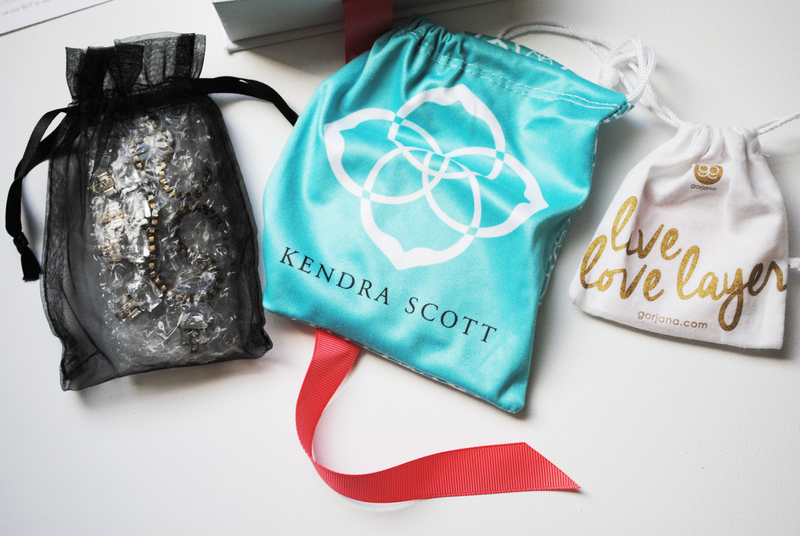 Like the Melinda Maria ring from my last box, I never want to take this bracelet off. I love that it's adjustable since I have tiny wrists and big hands. It's not heavily decorated but has enough detail, which means I can wear it alone or layer it. I'll also be wearing this in an upcoming outfit post so keep your eyes peeled for that! Verdict: Going back. 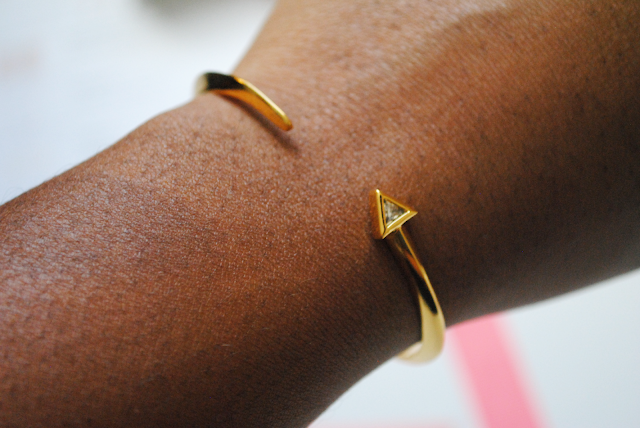 I love this bracelet so much, but like the Loren Hope necklace it's a bit pricey. I hope to scoop this up at a later date. This was an interesting box. 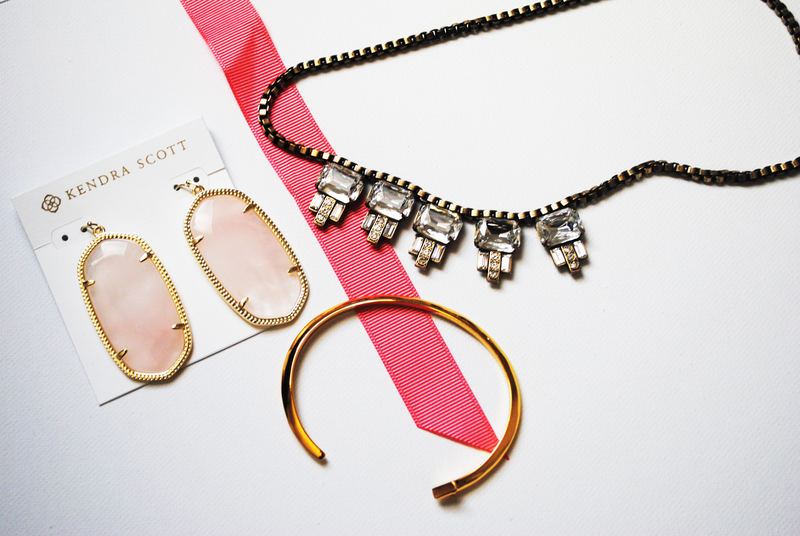 Each piece was gorgeous in it's own way and perfect for any girl who loves a lot of sparkle. While I'm a fan of all three pieces, I won't be keeping any of them :( This was definitely the most expensive Rocksbox I've received, but these are all high quality pieces so that is understandable. If you'd like to try any of these pieces head over to Rocksbox and enter code AMANDABFF884 for a FREE MONTH! I promise you won't regret it. 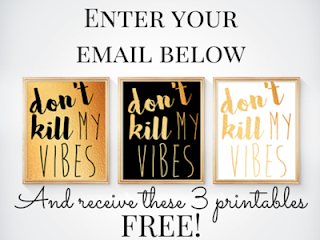 Let me know which piece was your favorite in the comments below!